Registration for the 2020 Delta Blues Dulcimer Revival is NOW OPEN! Join Bing Futch, Adrian Kosky and Carla Maxwell for a unique festival experience, April 16-19th, 2020, in Clarksdale, Mississippi - birthplace of the blues! 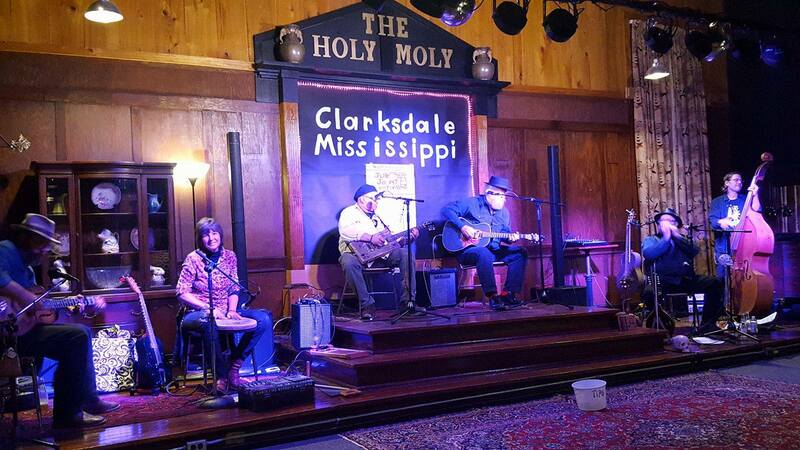 Enjoy and learn with blues mountain dulcimer workshops at The Holy Moly, a historic location in the heart of downtown Clarksdale. From North Mississippi hill country style to Texas swing and traditional Delta blues, your instructors will present classes for all skill levels and interests with a focus on the early roots of the blues. This three-and-a-half day event coincides with the Juke Joint Festival and will give registrants the incredible opportunity to taste the many cuisines of the region, explore history up-close and hear some of the most powerful music ever performed anywhere! If you're a mountain dulcimer player who's a fan of the blues, or are looking for an immersive experience that will increase your playing skills and inspire your creativity while tantalizing your taste buds and sparking your imagination, this is one soul-fired event that you won't want to miss! Basic registration is access to all of the workshops and instructor concerts at The Holy Moly. Light snacks, coffee, tea and water are available throughout the day. All of the above, PLUS a wristband that allows you into any of the participating juke joints throughout the Juke Joint Festival on Saturday evening. Events during the day are free. This package includes workshops, concerts and also Thursday lunch and dinner as well as Friday lunch. Light snacks, coffee, tea and water will also be available. 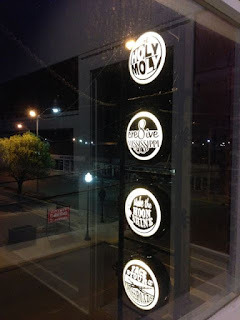 There is an amazing selection of regional foods that will be available within walking distance of The Holy Moly. The whole hog! Full registration along with Thursday lunch and dinner as well as Friday lunch. Light snacks, coffee, tea and water are included and you also have the Juke Joint Festival wristband for Saturday night. The Juke Joint Festival regularly attracts thousands of blues fans, so early reservations for lodging is highly recommended! Bing's been playing mountain dulcimer since 1986 and has made a name for himself as a dynamic performer of the instrument as well as a compassionate and enthusiastic educator. He's one of only two mountain dulcimer performers (the other being David Kimbrough Jr. - son of legendary bluesman Junior Kimbrough) to participate in the International Blues Challenge in Memphis, Tennessee. 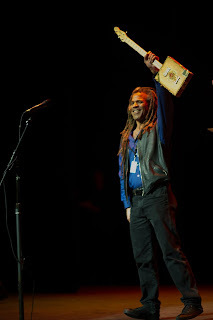 After competing in 2015 and making the semifinals, Bing returned in 2016, made it all the way to the finals, and was named "Best Guitar" in the solo/duo category, despite performing solely on the mountain dulcimer. 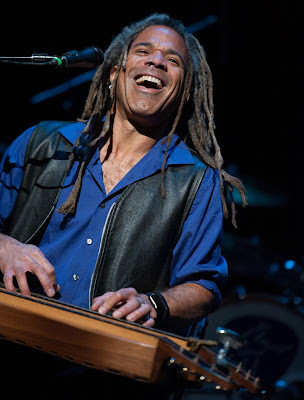 Since then, his all-blues album "Unresolved Blues" has become a popular addition to DJ playlists internationally and his instructional book, "Blues Method For Mountain Dulcimer 101" is a best-selling example of his passion for the blues. 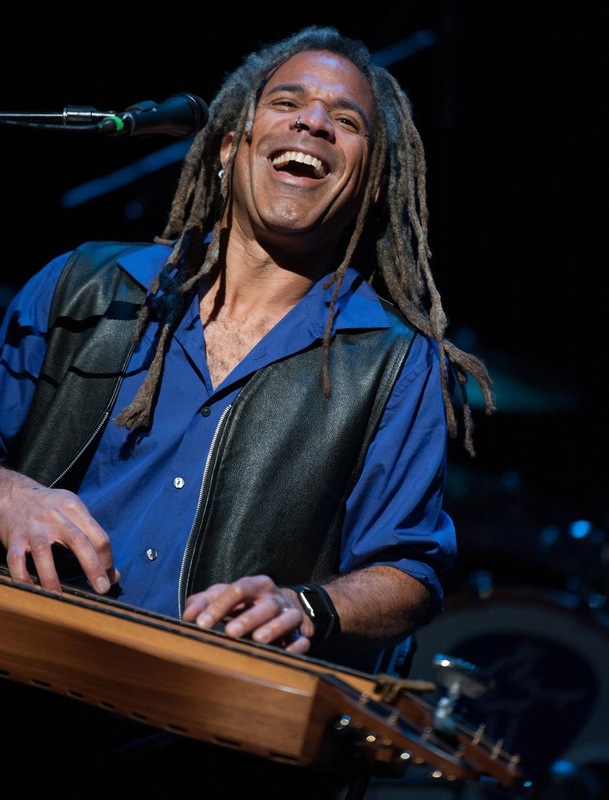 He has presented Blues In Schools programs for the Orange Blossom Blues Society and his dulcimer blues workshops have taught thousands of musicians how to play authentic Delta blues on this extraordinary American instrument. Bing has been a featured performer at The Daytona Blues Fest, Myakka River Blues Festival, Tall Cities Blues Fest Wang-Dang-Doodle, The Florida Folk Festival and The Walnut Valley Festival. Adrian Kosky, an Australian with a bluegrass heart and a bunch of self penned songs was in North Carolina, looking for a ride to Memphis, where he knew the crossroads were near by. He wanted Clarksdale bad, and for years had dreamed of being there. Carla Maxwell, from Memphis, with her family roots deep in Kentucky, ventured to Appalachia to learn about her musical heritage and the music of the mountains. She offered Adrian a ride back to Memphis and a quick taste of Clarksdale, setting the course for a union of friendship, love, music and life. 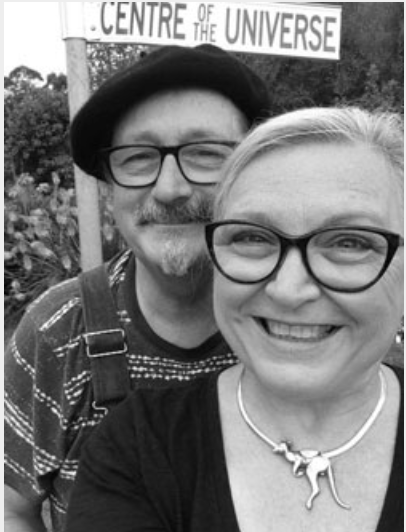 Together, as husband and wife, their music evokes the traditions of folk blues, combined with old time Appalachia, whilst arousing the restless yearning that keeps them on a permanent walkabout between their homes in both the Mississippi Delta and rural Australia. Original “Clarkstralian” folk roots, making its first appearance at the Juke Joint Festival 2018. We invite you to join us during an exciting four day revival in the heart of blues country! Whether you're an adventurous beginning musician, a seasoned player looking to expand, a cultural history buff or a regional foodie, there's no other place in the country where you can get barefoot in the dirt, so to speak, and get down to the roots of the blues. We look forward to sharing this unique and joyous celebration with you and hope you'll consider joining us April 16th - 19th, 2020 in Clarksdale, Mississippi for the 1st EVER Delta Blues Dulcimer Revival! The Revival Is Coming To Clarksdale! A Delta Blues Dulcimer Revival will be dawning on April 16-19, 2020! Clarksdale, Mississippi will be the new home for a unique musical encounter, steeped in the rich history of the Delta and served up with a huge slice of blues. Workshops, tours, concerts and jamming with instructors/hosts Adrian Kosky, Carla Maxwell and Bing Futch.